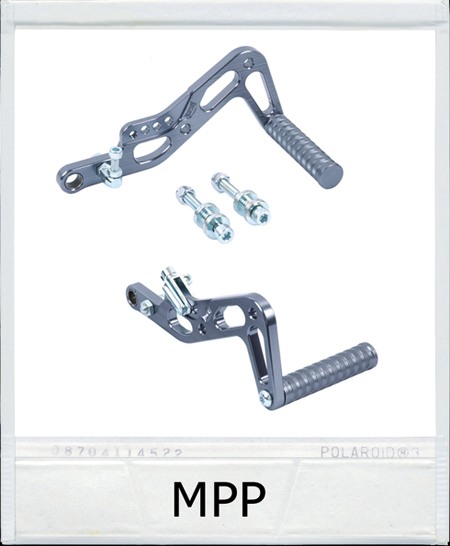 High quality aluminum pedal set, includes left & right pedals. Features bronze self lubricating bushings, knurled pedal grips and multiple throttle and brake positions. Foam construction foot cradles hold heels in place through turns putting less stress on your legs and keeping feet properly placed on the pedals. For kids the 18mm thick heel pad raises the feet up towards the pedal for better foot extension and clears the calf area of the leg from the tie rods. Please, specify Adult or Child. The Child size has the same overall dimensions as the Adult, but the Child heel cradle is thicker. Thickness: Adult 3/4"; Child 1 1/8"
Perfect for giviing your heels a solid reference point. They reduce ankle and leg fatigue and improve throttle and brake control. 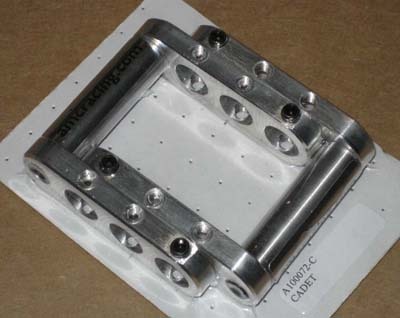 CNC'ed aluminum heel cups relocate the pedals onto the pan for proper foot placement. Left and right included. Perfect for giviing your heels a solid reference point. 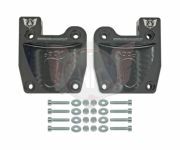 They reduce ankle and leg fatigue and improve throttle and brake control. Made from premium grade 6061-T6 aluminum, so their super lightweight too. 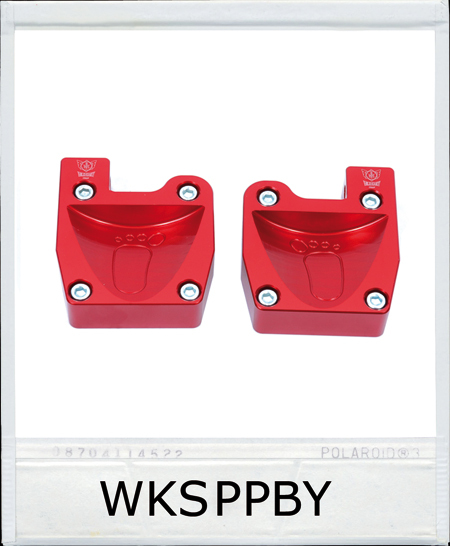 A high quality, great looking heel stop at a super price. Now available in black, red, blue, gold and silver. Stick-on rubber heel pads reduce heel slippage on the floorpan. 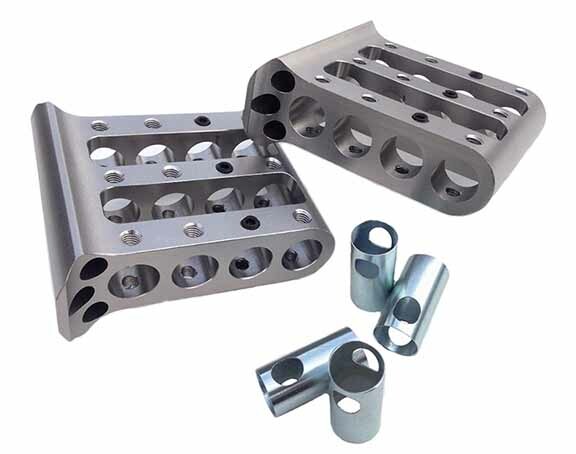 AMC Pedal Extensions - 2.5"
AMC Pedal Extensions - 4.5"
Machined aluminum. 1-Pair. 80mm wide are now black/silver. 70mm hook to hook, unstretched. Jr.1 / Cadet Foot Box Pedal Riser System 12" wide, 2 1/2" rise with Birel Model pedal hardware. Jr.1 / Cadet Foot Box Pedal Riser System 12" wide 2 1/2" of rise. standard metric kart pedal set-up. 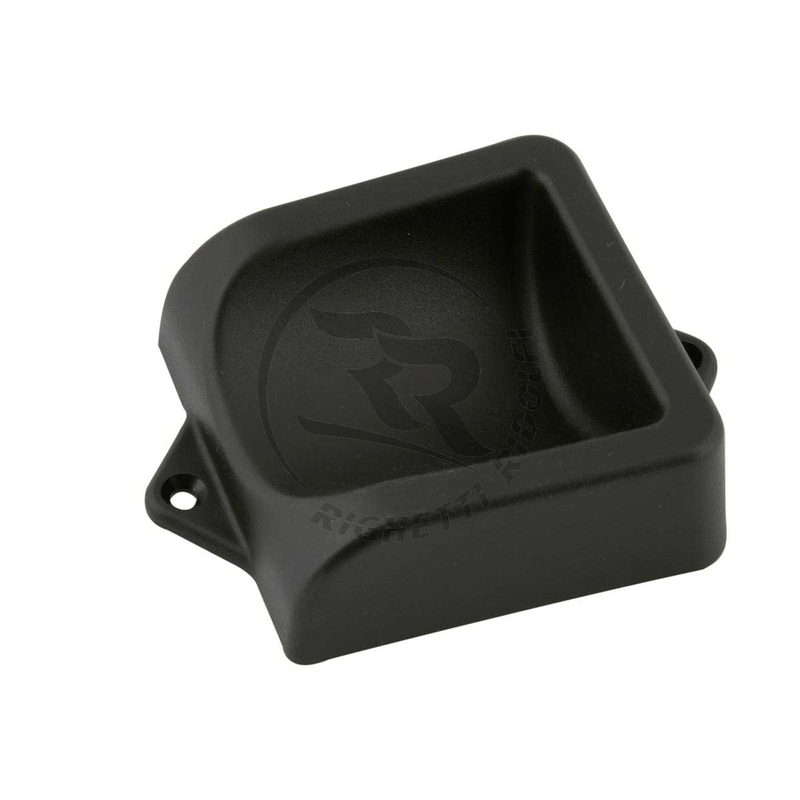 Jr.2 Foot Box Pedal Riser System: Jr.2 (12-15 age group). 12" wide with 2" of rise off of the floor pan. This work really well with short juniors and women. 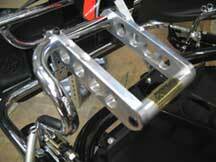 Kid Kart Foot Box Pedal Riser System, 10" wide with 2" of rise. 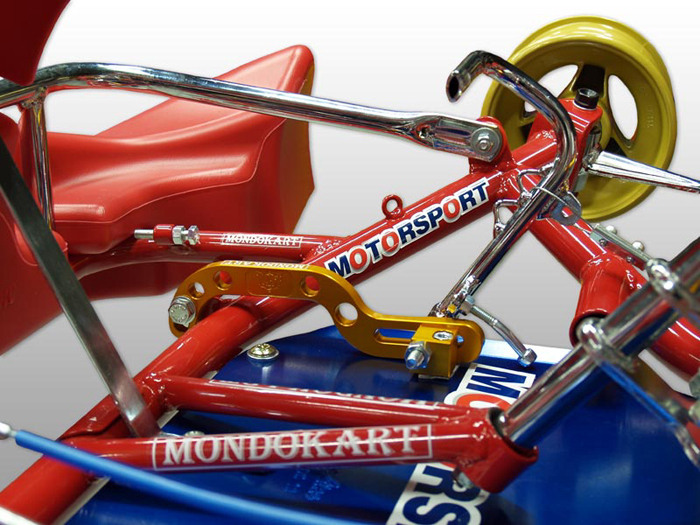 this system is used for the kid kart class comer C50, C51. 5 to 7 year old group. Relocates the pedal back on the pan. CNC'ed aluminum. Pedals not included.